Phyllis M. Blum, 79, of Topeka, passed away November 15, 2018. She was born in Salina, Kansas on February 21, 1939 to Tom and Inez Allison. 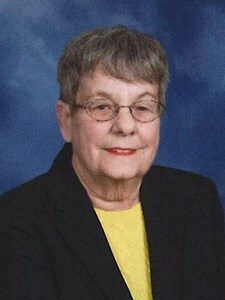 She graduated from Salina High School in 1957. She worked for the Kansas Bureau of Investigation for about 10 years and then the Shawnee County Department of Corrections from 1972. She retired in 2001. She was preceded in death by her parents and her sister, Delores Brooker. She is survived by her son, Mark (Nancy) Blum, two granddaughters, Courtney and Jessica Blum, and several nieces and nephews. Memorial services will be held at Our Savior's Lutheran Church, 2021 SW 29th Street, Topeka, Kansas on November 26, 2018 at 11:00 a.m..
Add your memories to the guest book of Phyllis Blum.